I am sorry, but this print is not available for sale at this time. Please contact me to discuss its future availability. 2010, California. 2½ x 2½" negative. 12 x 12" silver-gelatin print, 2010. As shown at the (Be)Longing exhibition. The above images are repro­duc­tions of the pho­to­graphs that were exhib­ited at my (Be)Longing show in 2011, which I wrote about in this art­icle. They are dis­played above in the order sim­il­ar to how they were shown in the museum. These pho­to­graphs are no longer avail­able for pur­chase, how­ever, please see the new ones in my cur­rent work gal­lery. My book, (Be)Longing, con­tains repro­duc­tions of these twenty-four of my pho­to­graphs of the American Southwest. They focus on a feel­ing of a long­ing to belong to the beauty and serenity of oth­er­wise very for­bid­ding, deser­ted, and strange land­scapes. Please sub­scribe to my news­let­ter, so that I can let you know when new images become avail­able. Thank you, Naomi. It is an hon­our to hear these words from such an accom­plished artist as you. I love your paint­ings, and their col­our often feels so very much at home for me. fea­ture on the web­site to darken the screen. Sorry I cant be there. Good luck with the show. You deserve it! Czarno biała tech­nika oraz brak jakiekolwiek ruchu umieszcza je poz cza­sem. Kasiu, Olku: dziękuję Wam za ser­deczne słowa. Zapraszam na wys­tawę, póki otwarta, do 6 marca. Fotografie, na żywo, wygląda­ją dużo lepiej niż na mon­it­orze. “(Be)Longing” is very rep­res­ent­at­ive of you and your work. 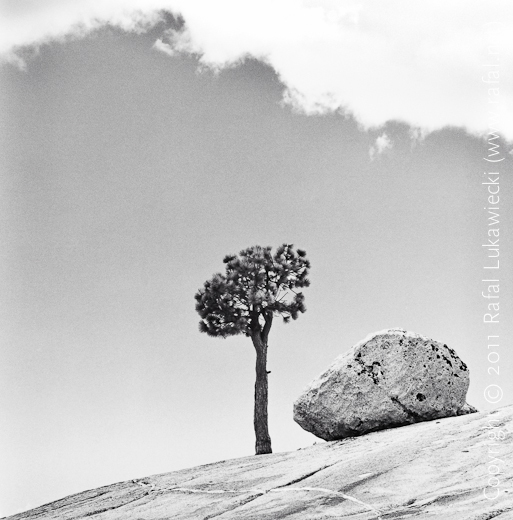 I love “rock form­a­tion”, and I am very sens­it­ive to “trees” and their sym­bol­ism. Therefore, I feel these pho­tos very close to my heart with no. 16 on top of the list. I have the feel­ing that this is just the begin­ning of new ways of express­ing your­self & inspir­ing through art, per­form­ance and who knows what else ……. You have a gift! ENJOY it !!! This is lovely… great start. I par­tic­u­larly liked the abstract shapes and tex­tures drawn out of the broad land­scapes. Hope you will want to take some shots in the Everglades soon ? Thank you, Lara, Venetia, Zoe, and Steve. I am hop­ing to go to many oth­er parts of the world with my large format cam­era, and Everglades are very high on my list. I would like to show the fam­ous sea of grass and reeds in an abstract way. I was totally absorbed upon arrival to your pho­to­graph­ic web site to look at these incred­ible images. They remind me of a won­der­ful trip I took 15 years ago with a very good friend. It was a voy­age of dis­cov­ery. Your lens activ­a­tion is truly inspir­ing. I’ve book­marked your page and will return. Thank you, ever so much, for your appre­ci­ation. I hope to be able to con­tin­ue inter­pret­ing those land­scapes for a long time to come, there is an infin­ity of form in them. Thank you for shar­ing those beau­ti­ful pic­tures. They make me think of Hasselblad and the Hasselblad centre at Göteborg Konstmuseum! Thanks Christer. Some of them were, indeed, taken with that won­der­ful cam­era, a Hasselblad 503CW: Tenaya Lake on a Cold June Afternoon, Thawing Ice on Ellery Lake, Tree and Rock at Olmstead Point, and Half Dome Above Vernal Falls. The rest was taken with a large format cam­era. Your pho­to­graphy is amaz­ing, beau­ti­ful and full of life! Really hope you’ll have an exhib­i­tion here in Ireland! Congratulations! It is a fantasy! Excellently! It was a real pleas­ure to meet you today in Dipoli, Espoo, Finland. I am sure that you would enjoy pho­to­graph­ing ice-age formed rocks and the arch­opelago! John Sexton’s advanced print­ing work­shop teaches tech­niques that can­not be found in any book — they have to be learned dir­ectly from the mas­ter.